John Waite in moving Merlyn\'s to the next-door building, so it connects with a second building he owns. As John Waite taps a code into a keypad and ducks under the red garage door, the space in front of him is empty and cold. With folding tables and orange traffic cones around the edges, it looks like a garage. But Waite has big plans for this space, where in coming months he’ll move his store, Merlyn’s comics and gaming shop. There’ll be new walls here, he says, pointing — they will create two storefronts he’ll rent to small businesses trying to get on their feet. On the backside of one of those walls, he explains as his mouth curves into a boyish smile, he’ll paint and build what will look like a castle wall. Waite, who owns the current Merlyn’s space on Main Avenue and the building down the block that houses ROOST Antiques, is in the midst of a building swap with Jim Sheehan, who’s led renovations of the Saranac and Community Buildings next door, for the space at 17 W. Main, which now houses ROW Adventures. “It’ll be a big improvement for the whole experience,” Waite says. ROW founder and president Peter Grubb says his organization has struggled to find a new location in downtown with enough garage-like space for their bus and rafts. He’s looking to buy one building within the next few months, but won’t elaborate on where until the deal is closed. Regardless, any new space likely won’t provide the seasonal rent ROW was getting from its current building, so Grubb says he’s looking at new ways to bring in revenue year-round, like downtown wine and brewery tours. Along with the castle project, Waite plans to update some of his inventory — getting rid of the things that aren’t selling well and highlighting those that are — and build a movie-viewing room in the back. In his decade at the current location of Merlyn’s, he’s learned some lessons. He wants to light and heat the new shop more efficiently, and better display iconic comics from the ‘60s and ‘70s. In the space Waite will be vacating, entrepreneur Sheehan has his own big ideas. While he’s careful to say no decisions are yet set in stone, Sheehan says one idea for the spot is something similar to Seattle’s Melrose Market: a high-ceilinged indoor public market with plenty of sunlight streaming in. Inside are small shops: everything from a meat market to a bakery or a wine shop. 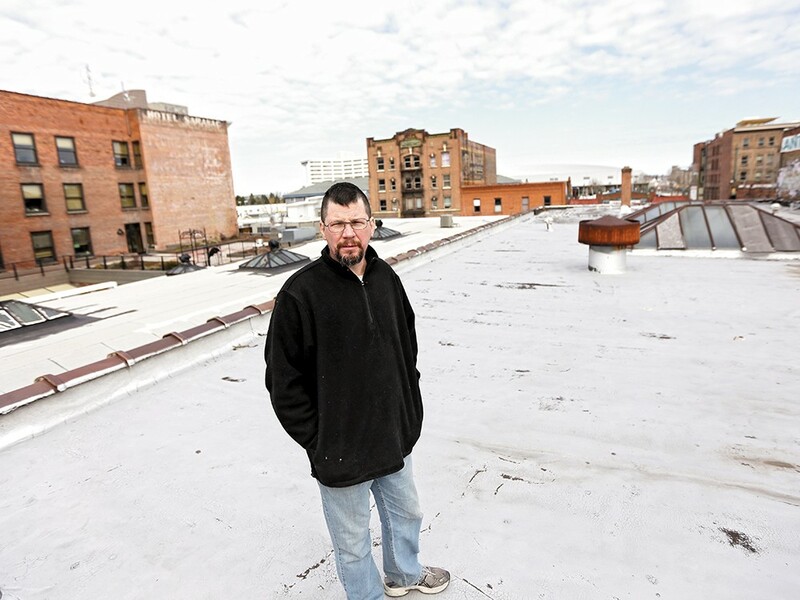 The market is an idea Sheehan — whose vision and money created a nonprofit hub in the Community Building and the LEED-certified Saranac Building, with a rooftop garden, silos and solar paneling — has toyed with, but worried the current space wouldn’t be right for.